Enjoy the best of Island living on this quiet, 1 acre, private waterfront estate. 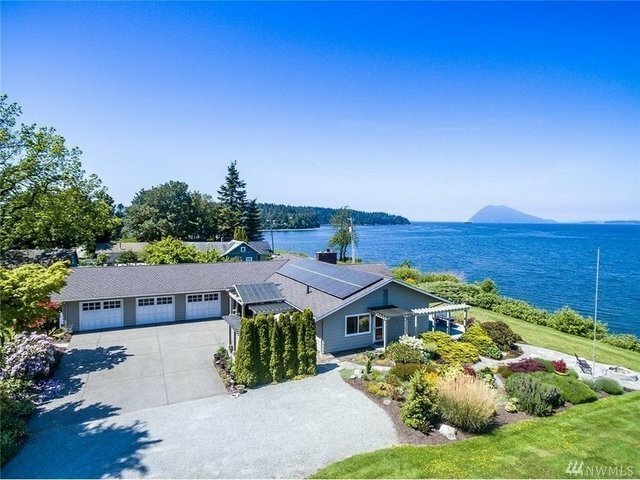 Expansive water views from almost every room in this 3 BR/ 2 BA home. Well-built w-quality updates, 400 sf income-generating guest house. Separate art studio. 180 ft of low bank water front w-private picnic area, tidelands & engineered stone bulkhead. Entertain on beautiful 1500 sf of outdoor rooms. Sit by the fire pit & enjoy outstanding views of Mt. Baker & the water. Gorgeous landscaping. Million dollar views!